I love the It Works Skin Care line and have used it for 6+ years. 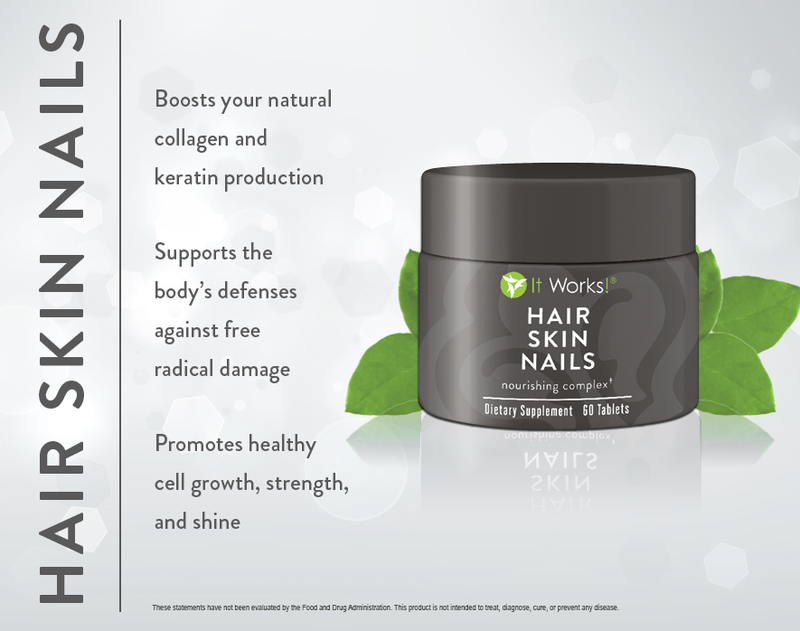 It Works offers a splendid range of skin care solutions, for all skin types to cover all of your skin care needs. In this review I will be talking about all 8 of the products in the photo above plus our newest product, Exfoliating Peel. Our products are designed to use together to create a synergy, but can also be used separately. IT WORKS CLEANER Rinse away the daily grime with Cleanser Gel’s beautifying botanicals! Gently sweeps away all skin dulling elements, including oil, dirt, pollutants, and even the toughest of makeup, without stripping skin of its natural moisture. This silky, clean-rinsing lather is sure to become a favorite in your daily beauty routine. Leaves skin both squeaky clean and silky smooth. I keep a tube in my shower and use it as my body soap too. It is very mild and doesn’t dry the skin. Tip: Because it rinses clean with no soapy residue, Cleanser Gel is ideal for removing impurities from the skin before using one of our best-selling body contouring Applicators. Directions: Wet hands and face with warm water. Apply a small amount of Cleanser Gel on hands. Work into a rich, foamy lather and massage lather onto face and neck with a gentle circular motion. Rinse with warm water and pat dry. 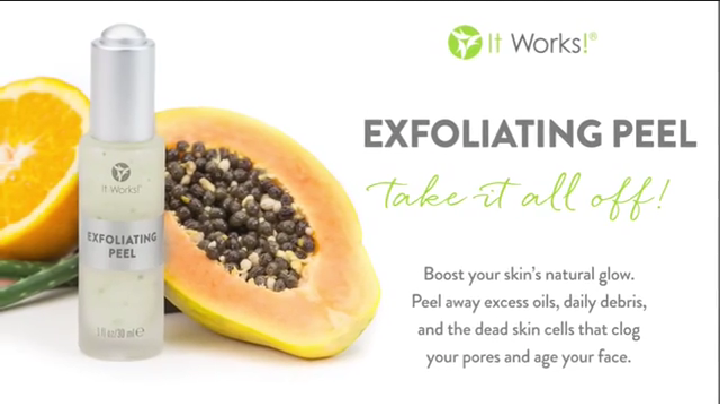 EXFOLIATING PEEL You will love this product. 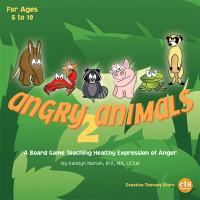 Quickly becoming one of our top sellers CLICK HERE TO READ MY COMPREHENSIVE REVIEW OF THIS PRODUCT $36.00 through our Loyal Customer Program. FACIAL APPLICATOR The exclusive 45-minute Facial Applicator from It Works! 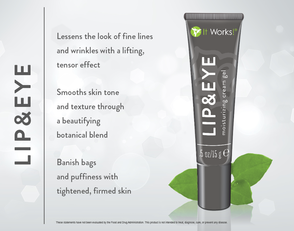 uses a cream-infused cloth wrap to deliver intensive revitalizing benefits to the face that dramatically rejuvenate the skin and minimize the appearance of fine lines and wrinkles in just 45 minutes. Skin looks and feels softer, smoother, and revitalized with a healthy glow. Continuously hydrates for fresher, more luminous skin and a younger-looking you. REPAIRAGE This is used just like you would a night cream. Repairage is an all natural, non-surgical substitute for Botox. And, while we’ve all heard about the dangerous side-effects of poison-based injections, BOTOX® continues its reign as the top-ranking non-surgical procedure for both men and women with 4.8 million procedures performed in 2009—at an average price of $397 (USD) per treatment! In fact, we believe in enhancing your natural beauty, with all natural active ingredients that are actually good for your skin without the usual risks associated with surgery and non-surgical procedures such as BOTOX®. Think wrinkles are forever? Not anymore! RepairAge is a revolutionary moisturizing facial cream with a unique blend of herbal extracts that gives skin a more youthful appearance. Turn back the hands of time on your laugh lines and crows feet with RepairAge part of our signature line of anti-aging skin care products. 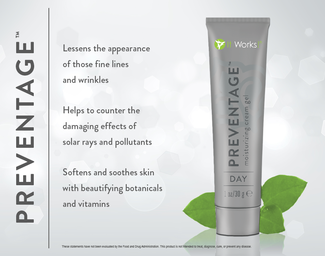 This botanically based formula works to repair signs of aging, providing a lifted, smoother, more youthful appearance. Why not try the safer way to a smoother, softer, and brighter face? With results like this, you’ll have people wondering who your doctor is! With a unique formulation of herbal extracts you can achieve a youthful appearance with our anti-aging moisturizer, RepairAge. STRETCH MARK CREAM The Stretch Mark Moisturizing Body Cream by It Works is a non-greasy moisturizing body cream. 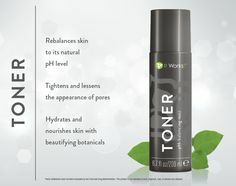 It contains a powerful blend of skin nourishing botanicals to rejuvenate and hydrate your body. It Works Stretch Mark Cream will help to restore your skin’s youthful glow while also improving its firmness, and enhancing elasticity. All while balancing your skin tone to aid in lessening the look of stretch marks and other skin scarring over time with consistent. Stretch Mark may also help with reducing the appearance of scars. For best results, use Stretch Mark consistently, twice a day. This will help by evening out the skin tone The stretch mark cream is able to be used by pregnant and nursing moms who want to minimize the appearance of stretch marks both during and after pregnancy. The stretch mark cream can be used from the neck down twice a day as a part of your daily beauty regimen. It is not for use on your face. We have a great skin care line that includes moisturizing products formulated for the sensitive skin of your face. In the case of stretch marks, it is stimulating and strengthening damaged tissue. By reducing scarring through the stimulation of collagen and elastin synthesis and we are evening skin tone. As you notice with stretch marks, they have a different coloring than the skin around them. That is because they have a different proliferation of melanocytes, which are the cells that produces melanin. By evening out the skin tone, we are able to cosmetically make stretch marks disappear while taking care of actually healing them by reducing the scarring and strengthening the tissue. Can Stretch Mark Cream also help with reducing the appearance of scars? It may also help with reducing the appearance of scars. For best results, use it consistently, twice a day. This will help by evening out the skin tone. Will Stretch Mark Cream reduce scars from burns or skin grafts? It is not formulated to help heal severe scars from burns or skin grafts. Can pregnant moms use stretch mark cream? Yes, the Stretch Mark Cream can be used during pregnancy to help prevent stretch marks and after to help heal stretch marks. Can I use Stretch Mark Cream on my surgery incision? It Works Product Review: ENERGY, not your typical energy drink! 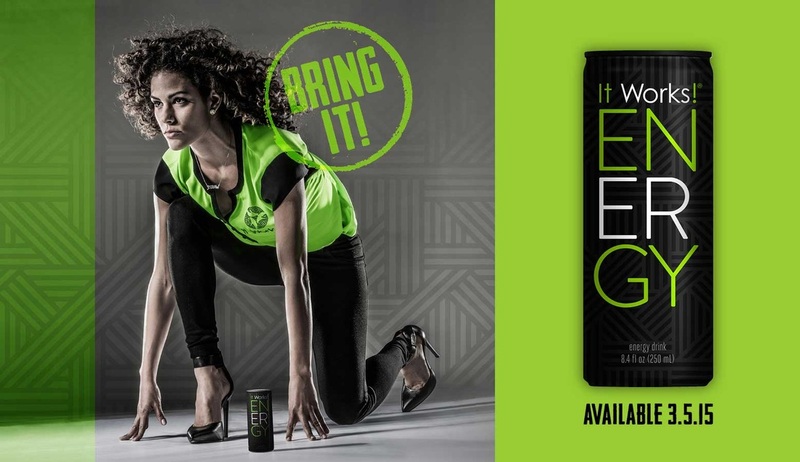 ENERGY IS THE NEWEST PRODUCT BY IT WORKS GLOBAL. This new energy drink is already creating quite a buzz. It was introduced at our Annual Conference so I was able to get a taste and I can tell you it tasted great! I am not one to drink energy drinks, in fact I have never had one of the many on the market. One reason is when my daughter was a teenager she came home one day and she was bouncing off the walls. When I asked her what was going on she said ” Oh, I just had a couple of Red Bulls, mom.” I didn’t even know what it was and had to do some research. When I did my research and found all of the benefits to ENERGY, I will be drinking this one! Here is the reason she was so amped up. Many of the energy drinks on the market today are not good for you. The are filled with excitotoxins which are similar to stimulants used to give you that spike of energy. Excitotoxins are a class of chemicals (usually amino acids) that overstimulate neuron receptors. Neuron receptors allow brain cells to communicate with each other, but when they’re exposed to excitotoxins, they fire impulses at such a rapid rate that they become exhausted. On top of excitotoxins most drinks are either loaded with sugar or artificial sweeteners and artificial flavoring which is worse. In this combination they wreak havoc with your metabolism and your blood sugar levels and can be harmful to your heart. On going use can mess up your metabolism. HOW IS IT WORKS ENERGY DIFFERENT? There are a number of factors that make it not only different but make it healthier for your body. Several ingredients improve brain function, balance metabolism and balance moods. Our proprietary energy blend is made up of caffeine from Green Tea Extract, a complete spectrum of B vitamins and 15% real fruit juice, which creates a synergy together that is not found in any energy drink on the market. 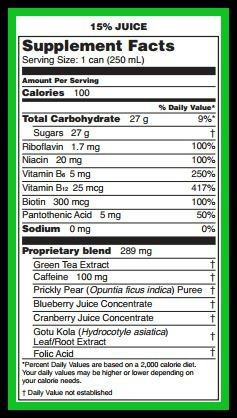 Green Tea Extract makes up the caffeine that is listed on the label and it the the best source of caffeine. Green Tea Extract works with the bring to create energy and sustains it without the jittery feeling. It does not cause spikes in blood sugar like chemical stimulants do. It is known to boost metabolism, improve brain function if caffeine is no more than 200 milligrams a day. The amount of caffeine in ENERGY is 100 milligrams, which is equivalent to the caffeine in a cup of coffee without the negative side effects. The polyphenols in ENERGY are from Green Tea Extract. Polyphenols are the most powerful of antioxidants. ENERGY also contains a full spectrum of Phytonutrients. Phytonutrients aren’t essential for keeping you alive, unlike the vitamins and minerals that plant foods contain. But when you eat or drink phytonutrients, they may help prevent disease and keep your body working properly. It also contains the complete spectrum of B Vitamins. , which are great for brain function so they are known as the brain vitamins. They work best if all of the B Vitamins are present because they work better together. B Vitamins are important for metabolism to break down carbs and produce energy. You will notice that ENERGY contains fructose. This might alarm some people because they think that means High Fructose Corn Syrup. This is not the same thing. It is Crystaline Fructose, which is sugar found naturally in fruits, which in Energy are Prickly Pear, Blue Berry and Cranberry. These fruits are also high in antioxidants. 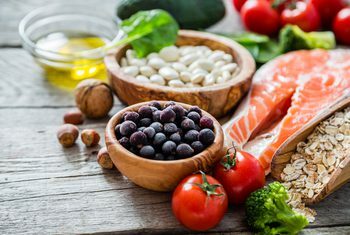 ENERGY has a Glycemic index of 20 which means that it only raises blood sugar 20 points as opposed to sugar and glucose which raises the blood sugar 100 points. This causes unnatural spikes in the blood sugar which cause risks to the cardio-vascular system because it causes the body to store fat and also throws blood sugar levels our of balance. The Glycemic Index (GI) measures how a carbohydrate-containing food raises blood glucose. Low Glycemic is 55 points or less and High Glycemic is 70 points or more so you can see this drink is way below the Low Glycemic level. With all of this going for it, I believe it will become a replacement for people using energy drinks that are looking for a healthier alternative. The cost for a case of 24 cans will be $60 ($2.50 per can) with our Loyal Customer Program. This is comparable to other less healthy drinks on the market. DO YOU GET PAID TO DRINK YOUR CURRENT ENERGY DRINK? DO YOU WANT TO? Tagged as ENERGY, healthy alternative to energy drinks, history of it works global, It Works Global Energy drink, It Works! I’m so excited to announce that It Works just launched a brand new product that you are absolutely going to LOVE! It is an Exfoliating Peel for daily use that will boost your skin’s natural glow, get rid of age spots, make your skin super smooth and also has anti-aging effects. 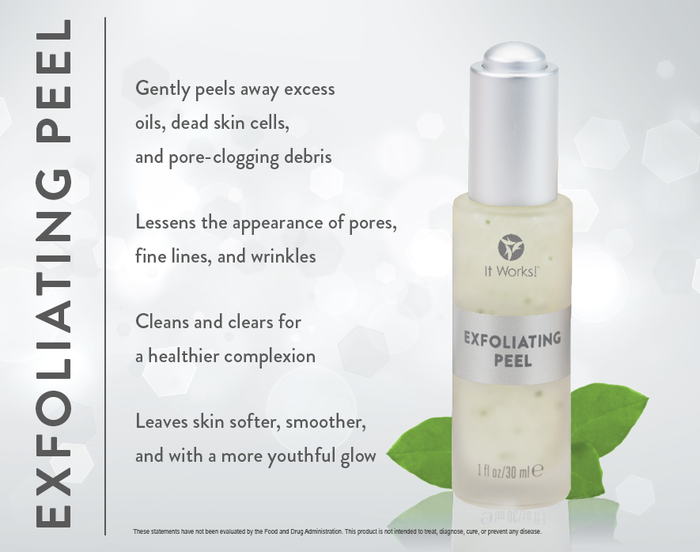 It Works introduced it’s newest product, Exfoliating Peel, at the Green Carpet in October 2014. What an amazing facial care product!! This product adds a new dimension to the already exciting skin care line. Get ready to take it all off with the Exfoliating Peel! Boost your skin’s natural renewal with a bounty of botanical and fruit extracts that strip away the dead skin cells, excess oil, and daily debris that clog your pores and age your face. Take it all off to reveal softer, smoother, healthier-looking skin and let the more youthful, luminous you shine! The Exfoliating Peel uses microbeads to quicken the process of skin turn over. By rubbing these microbeads on the skin you’re helping to exfoliate and rid the body of old skin cells, allowing the new skin cells to surface faster than they would naturally. These microbeads are encapsulated with aloe, a super healing nutrient for the skin. The process of exfoliation can sometimes cause irritation, but the presence of aloe helps to avoid that. Aloe is a natural anti-inflammatory. As the microbeads are rubbed around, aloe is released to sooth, calm, and hydrate the skin. There are NO HARSH CHEMICALS! The contents of the Exfoliating Peel are derived from fruit and are botanically based active ingredients. The peel takes it all off revealing healthier skin and a more natural healthier you! It is so easy to use!! and once you try it you will want to use it everyday, even though your don’t need too! Step 1: Start with the It Works cleanser. Wash skin and rinse thoroughly. Can you follow up with any other product? Follow up with a facial. While the facial works well by itself, the exfoliating peel preps the skin and takes the facial to a whole ‘notha level! It allows the skin to better absorb the facial ingredients. Only $36 for Loyal Customers and Distributors! $60 for retail customers. When you visit my website check out the rest of our skin care products. I have used them everyday for the last 5 years and love them! This product will sell out SUPER FAST so hurry and order yours now before they are sold out! The elegant packaging makes it perfect for salons. It will look beautiful on your shelves along with the rest of our skin care products! Confianza is the Spanish word for Confidence and that is what you will feel when you use it. Are you a teacher on the first day of school? Do you have to give a presentation and feel nervous? Do you have trouble focusing? Are you tired all of the time and feel like you have no energy? Confianza is made for people like you. Made from adaptogenic herbs which are herbs that have been exposed to both extreme heat and extreme cold and survived. In the same way they balance your body and relieve stress. Confianza is a naturally based supplement that increases your energy levels while reducing stress and fatigue. Its special blend of herbs was developed to provide a safe way to enhance your ability to cope with all forms of stress: physical, emotional, or environmental. Confianza’s proprietary blend of herbs includes many ingredients called adaptogens. Adaptogens are natural substances that work through the adrenal glands to produce adjustments in the body that help combat stress and increase your resistance to it. These ingredients in Confianza can help restore balance within your body, allowing you to better cope with the stresses in your life. Directions: Adults take 2 tablets as a dietary supplement. Overall Calmer Feeling ~ Not a Sleepy feeling either. Most Anti Stress supplements that I have tried gave me a groggy feeling, but I didn’t notice any with the Confianza. More Energy ~ Not like I had drank 10 cups of coffee, but a little more pep in my step. Decrease in Appetite ~ I just felt a little more Satisfied and didn’t have as much urge to snack. When I missed around four days (hectic schedule with school starting back ugh) I could tell the difference. 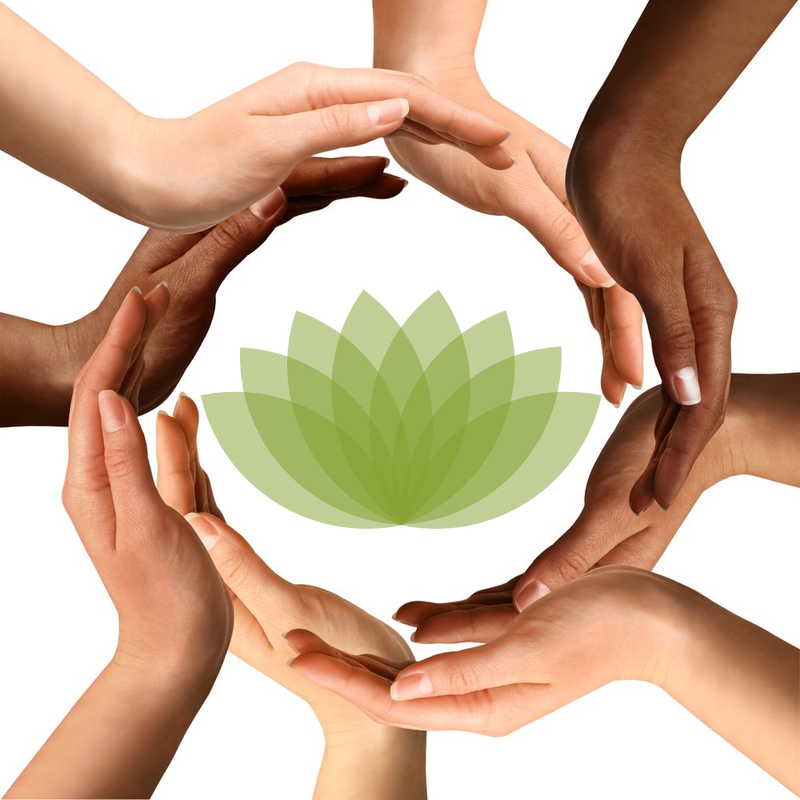 Do you wish there were a safe, effective way to cope with all the stress life throws at you? 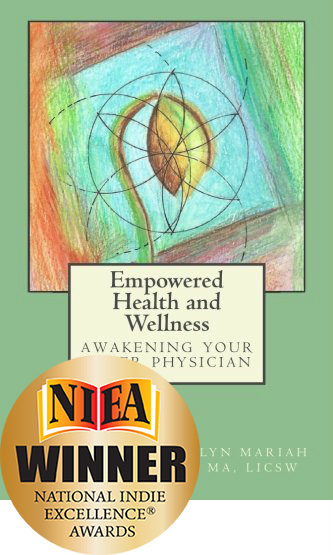 The answer is Confianza, an herbal-based supplement designed to enhance your ability to cope with all forms of stress: physical, emotional, or environmental. The special blend of herbs increases your energy levels while reducing stress and fatigue. 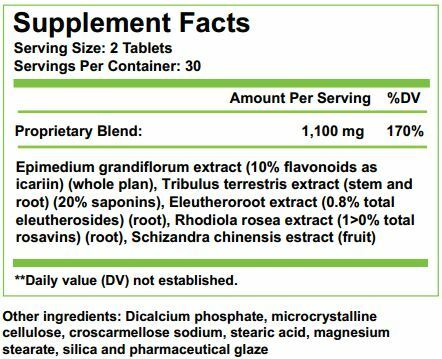 Confianza’s proprietary blend of herbs contains active adaptogens. Adaptogens are natural nutrients that work through the adrenal glands to help your body combat and increase your resistance to stress. These ingredients in Confianza can help restore balance within your body and allow you to better cope with the stresses in your life. Can I give Confianza to my children? Confianza is designed for adult use and is not recommended for children. Always consult your pediatrician before giving any supplements to children. Can taking Confianza replace or interfere with the medications I am currently taking? If you have a medical condition, health concern, or are taking prescription medications, we strongly recommend that you consult with your physician before taking Confianza. Can I take Confianza if I am pregnant or nursing? With so many protein powders on the market it is hard to find the one that is best for you. Unless you read the ingredients and know what they are it can make your head spin just picking one out. One ingredient that I look for and avoid in foods that is common in protein powders is artificial sweeteners. Why put toxins into your body when the reason you are looking for protein powder is to add good nutrition. It Works Profit is sweetened with Stevia and all natural plant based sweetener so that takes it to a new level by itself. WHAT SETS IT APART FROM OTHER PROTEIN POWDERS? 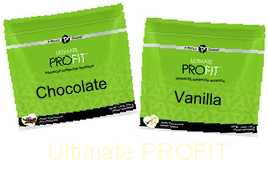 It Works Ultimate ProFIT is made with the highest quality ingredients. The main thing that sets ProFit apart from the rest of the protein shakes on the market is the proteins that are used. You can find protein powders/shakes that are lower priced, but you get what you pay for. Profits main ingredient is WHEY protein. It is not just any whey protein it is from grass fed cows that are not given any antibiotics or GMO feed so it is like drinking organic milk. It is COLD FILTERED PROCESSED to maintain all of its nutrients. When heating protein there is a greater chance that the fats in it will become rancid. Heating can give protein shakes an aftertaste or chalky texture. From there it is MICROFILTATION PROCESSED which removes fat, lactose and other unwanted materials, isolating the protein. What is left after filtering is a WHEY ISOLATE. This is why it is only 100 calories per scoop. The best processing practices give you an OPTIMAL PRODUCT. You are not going to find this kind of processing in most Protein powders. Profit has low if any amounts of lactose, fats and cholesterol yet its native proteins are intact which promotes muscle repair and growth while it strengthens the immune function . People worry about Soy protein these days but all soy is not created equal. Much of the soy produced today has been Genetically Modified and that is what creates the problems. The soy used in ProFIT is non GMO and fermented for the best absorption. The SOY ISOLATE used in ProFit is very beneficial as an estrogen blocker. This soy does fit the hormone receptor sites, but this isolate is 1/50-1/1000 as estrogenic as estrogen so it works as a blocker by filling up the receptor sites and minimizing the negative estrogen in the body. Our protein is extremely bioavailability and is predigested for maximum efficiency at the cellular level and has macro and micro nutrients from food. Whether your goal is weight loss, athletic performance, or a simple way to eat healthy, Ultimate ProFIT Superfood Nutrition Mix offers a superior blend of proteins, mood-elevating “superfoods,” and fiber that is proven to produce ultimate results*. Use it in shakes or smoothies, bake with it, or even mix it with your food! FITzyme™, a cutting-edge blend of enzymes, helps maximize your body’s ability to absorb Sustain-It™. 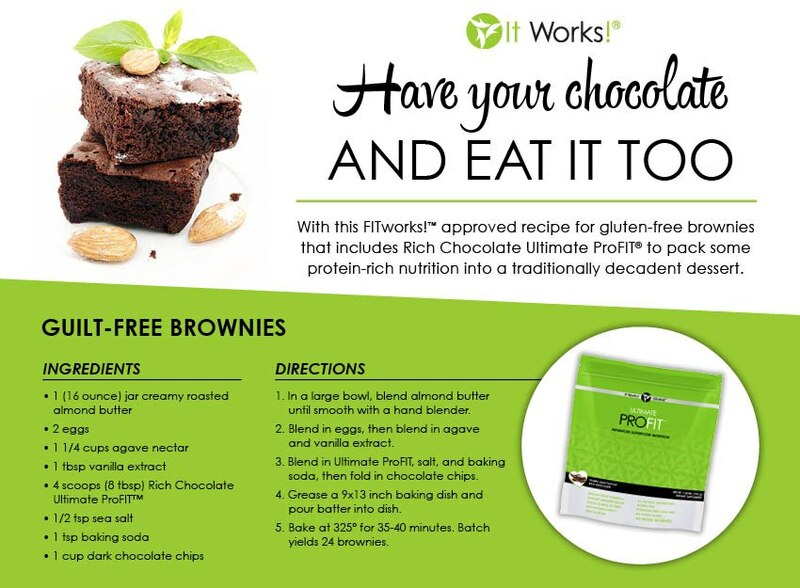 Natural, whole-food ingredients with only 100 calories per serving! Directions: Add one level scoop to an 8 oz. glass of water, milk, juice, or blend in favorite foods. When mixing, add liquid first, then blend, stirring briskly until completely dissolved. Cook with it, added it to smoothies. My personal ProFIT testimonial, worth the read! 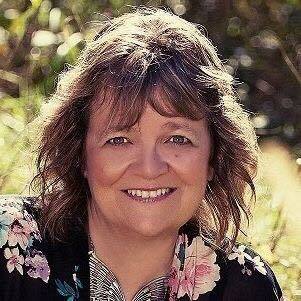 I am looking for product testers to add to my testimonials book. You will pay the same price as I pay. Email magnetickatelyn@gmail.com for details and to place your order. Individual results can and will vary. Testimonials are not necessarily representative of all those who use our products. All participants giving testimonials utilized a reasonable exercise program that incorporates the Ultimate Body Applicator, It Works!® dietary supplements, physical activity, and a reasonable diet. These testimonials are not intended to make claims that these products can be used to diagnose, treat, cure, mitigate or prevent any disease. These claims have not been clinically proven or evaluated by the FDA.